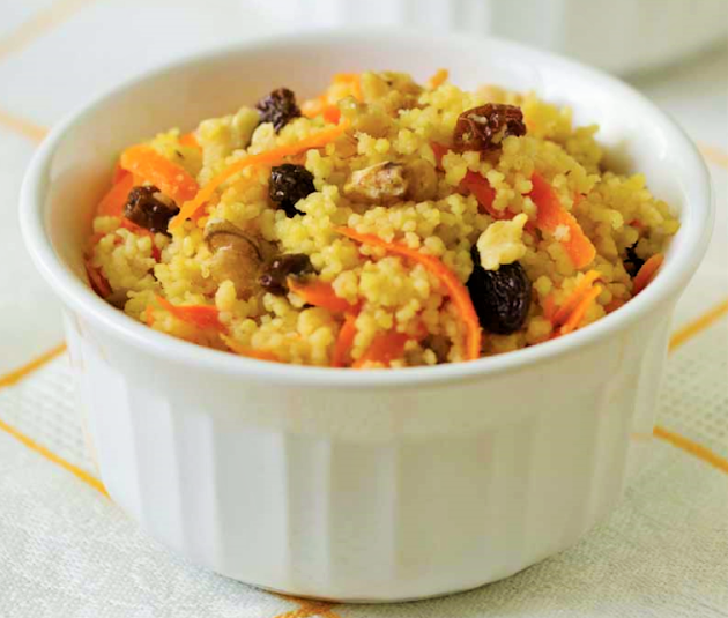 This quick-cooking grain dish has a touch of sweet and nutty flavors to go with most main dishes. In a 4-quart saucepan over medium heat, cook and stir couscous, olive oil, walnuts, salt, pepper, and spice just until couscous begins to brown. Slowly add water, then raisins and carrots. Cover. Bring to a boil over high heat. Remove from the heat, and let stand for 10 minutes. Fluff with a fork. Serve immediately.